I've been a war movie fan for years. I cut my teeth on the war genre when I was a kid watching "Combat" in glorious black and white on television. In fact, this movie reminded me a bit about that show because it was raw, real and moving. If you have any doubt about the brutality of war and how it transforms the human soul then this movie will make you a true believer. It is a difficult movie to watch…very emotional and very harsh in reality. War is not glorious…it is gritty, bloody and filled with evil. 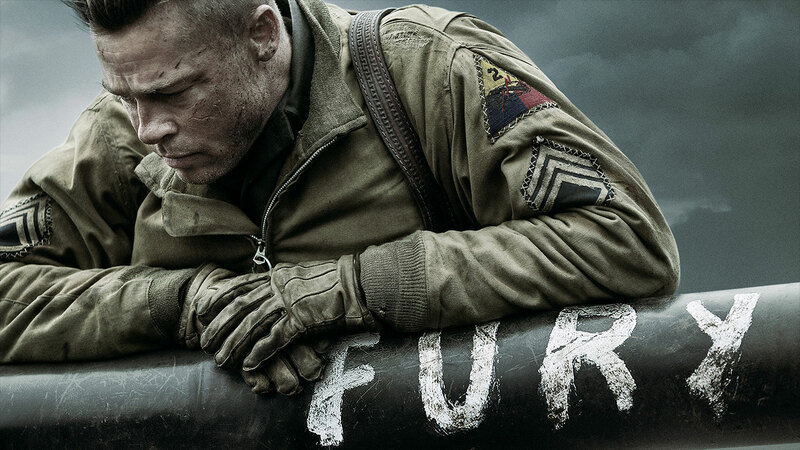 No matter where you are on the spectrum of beliefs about war, "Fury" will underscore your perspective with much needed pure experience. I can't mince words here…if you are an "anti-war" believer, "Fury" will prove to you why you believe what you do. If you believe that sometimes war is a necessity but that we can't underestimate how it changes nations and people many times for the worse, "Fury" will deliver on that as well. If you think that evill needs to be confronted, you'll see that in spades but, make no mistake about it, one can't confront evil without being burned…you'll see that if you watch this film. The wonder of this movie is the narrow scope of what the film maker attempts to do with you as an audience member. Slowly over the course of the film you feel like you are member of this tank crew. You are in that tank feeling, smelling, and sensing. You learn to understand the magnitude of the danger each tank crew member faces as well as the "smallness" of their world. The huge issues in this movie come more in subsequent reflection on the film…I discovered that I couldn't stop thinking about it for quite some time. The reason? There are piercing moral and ethical issues that I found myself wrestling with after the fact. For example, the film tosses the viewer into the shoes of an innocent, that being, a young soldier unstained by the effects of human combat. I saw myself in that young soldier…fearful, full of pain and panic, having the deal with and process experiences he never expected to have to face. If caught in the same circumstances, what would you and me do? Can human brutality change a person over time? What is the impact on the human soul of death and mayhem? How is what is going on around the world transforming scores of people, even innocent children, into cold-hearted, soulless actors on the dramatic stage of ideological conflict? Besides those questions, there were some other noteworthy issues that emerged from the film…one that I found myself quite caught up in was the comradery and sense of dependence that this crew experienced with each other. Facing battle together and experiencing the harshness of reality did what many other experiences in life can't do, form an unbreakable bond of brotherhood. Well, I could go on about the film but I'm stopping here…I don't know whether to recommend it or not. For me, as difficult as it was to watch, I found myself walking out of the film and desiring to call every veteran I knew and say, "thanks." If you are wondering what soldiering is all about, "Fury" won't disappoint. On the other hand, make no mistake about it, "Fury" isn't for the faint at heart. And with that, I'll leave you to your own conclusions. By the way, you might find this review helpful as well…"Hollywood Jesus" nails it. Let’s begin this way so that you don’t misunderstand what I’m going to say. I’m NOT hostile toward professional football. I am a fan, I enjoy watching the games and I love following my favorite teams. And I get that it is a cultural phenomenon and that it is something in our world that has become a non-negotiable reality. So, please don’t see me as a NFL Scrooge or Grinch for that is NOT the case. I am simply making some cultural observations that impact the lives of Jesus followers. You see, I believe I can comment on how the NFL has changed in its strategy over the years of broadcasting at least from my humble vantage point. We in western culture have entered a time of Post-Christendom. I don't have time in this article to present the case for a Post-Christendom culture. All I can say is that we have entered a time when what used to be at the center of culture is not longer the case. “Church” life has moved from majority to minority, from being seen as the privileged to being viewed as simply “one of many,” and from being part of the settled in culture to that of the margins in society. If you want an extensive overview of Post-Christendom, get the book Post-Christendom by Stuart Murray. (http://www.amazon.com/Post-Christendom-Church-Mission-Strange-AfterChristendom/dp/1842272616/ref=sr_1_2?ie=UTF8&qid=1413831390&sr=8-2&keywords=post+christendom). But beyond Post-Christendom, there’s more. Secularization has infected culture. Secularization is the transformation of society and culture from close identification with religious values and institutions toward non-religious/irreligious values and secular institutions. It is a belief that human progress (dependent upon modernization, evolution, and rationalization) leads to a deliberate choice to lose religious moorings in life. We can see secularization at work in many strata of society. TODAY, many people’s religious lives are defined by a search, a search to find the right church and the right expression of faith that delivers the right lifestyle. In this instance, an NFL game fits into a lifestyle choice that trumps one’s spiritual moorings in community. Secularization has reduced Christianity now to just a life stage. It is just one of many offerings that an individual samples during their life in the quest for a good life. 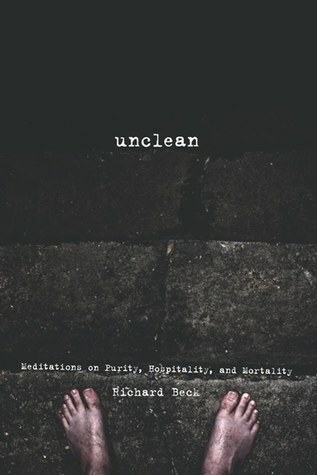 Sociologist Wade Clark Roof commented, “the real story of American religious life in this ½ century is the rise of the new sovereign self that defines and sets limits on the very meaning of the divine.” The Church is no longer a place of primarily identify formation but now secular culture defines the discovery of self. We are much more apt to wear the jerseys of our favorite NFL players and teams than we are to identify with the cross, empty tomb or those lifestyle choices which underscore a Jesus identity. Church has been replaced by this new power that primarily reinforces the choices of individuals and shifts the center of spiritual existence into the private sphere. In its new “home,” choices can and are made with the fundamental belief that faith is best expressed individualistically than communally. As a result, individualistic choices express a new value system shaped more by culture than by the values of the Kingdom of God. You can study the shift on your own but, trust me, we have moved from an overwhelmingly religious culture in the 1500’s where it was almost impossible to NOT believe in God, “to our current day in which even the religious feel the pressure against belief from our secular society” (from the book, A Secular Age by Charles Taylor). For centuries, if “Christendom Joe” decided no longer to pray, to worship, or even to believe, he would not be seen as simply exercising his individual religious rights. Instead he would be seen as putting himself, his family, his community, his people and the whole of Christendom in danger. The overwhelming social pressure was to believe and participate. Disbelief was viewed at best as treasonous and at worst cosmically deadly. As a local church leader, I struggle with this new reality. I don’t wrestle with it per se, I simply attempt to accept what is real and make adjustments as necessary. There are local churches that are altering worship experiences and presenting a football game on Sunday morning as a tip of the hat to the value of community. 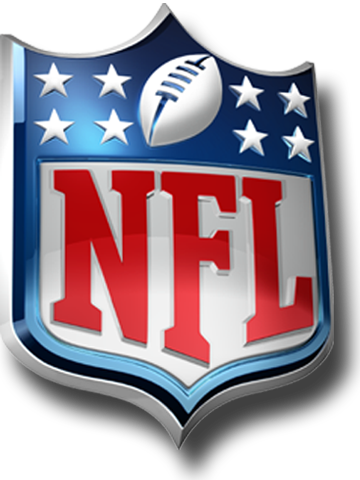 Last year, in our city, local churches watched NFL playoff games in their worship centers complete with tailgating food and cold beer. Even so, most are not moving in this direction as of yet. To be truthful, I’ve entertained the thought of having an evening worship experience on those days where our local NFL team has games broadcast on a Sunday morning. I haven’t acted on that thought but it has been on my mind. Why? Because people are not showing up for worship experiences on days where their team is playing. That can be broader than simply a local team as well…with the rise of fantasy football and a mobile society that produces fans of multiples teams, many people spend the day involved in the cult of the NFL. You see, what we are experiencing in local churchworld is a downturn of participation of even the most committed of disciple of Jesus during Sunday morning experiences. Again, that is not a complaint as much as it is a reality. Yes, there has been a radically pervasive increase of people choosing not to enter some sort of localized spiritual community. The “Church” doesn’t have a very good reputation these days and it shows. But I have to believe that if people made choices where the television product was not going to interrupt a flow of living that placed value in a spiritual community experience over against a NFL experience, that the NFL would possibly succumb to market pressure and place games in a schedule that would honor their audience. Since that isn't going to happen, the weight of responsibility has to fall on those who make decisions. People are going to have to ask themselves about which altar demands their attention. Jesus followers are going to need to deal with the fact that spiritual community is one of the most radical, most counter-culture activities going today. To participate in spiritual community in worship is to live by a different set of values while at the same time saying no to a different way of seeing the world. Most of us don't put this choice into this realm…we want to diminish its weight. But it really does come down to a simple question, "whom do you serve?" As Bob Dylan once wrote, "you gotta serve somebody. It may be the devil or it may be the Lord but you gotta serve somebody." Your choices, my choices are a dead giveaway of who we serve. So, I’m in a quandary…do we shift our worship experience strategies to “fit in” to culture or do we accept the shrinking numbers of participants with a degree of resignation to the secularistic winds of culture? Do we make adjustments or do we continue to do what we’ve been doing? In a culture shaped more by individualism and consumerism, it’s hard to compete with an entity that has the money and technology to satisfy the societal need for entertainment. Worship has never been entertainment…it has always had to do with sacrifice, sacred time, and an alignment with a priority system shaped by God. That, I must confess, is a tough sell in a world obsessed with entertainment and superficiality. 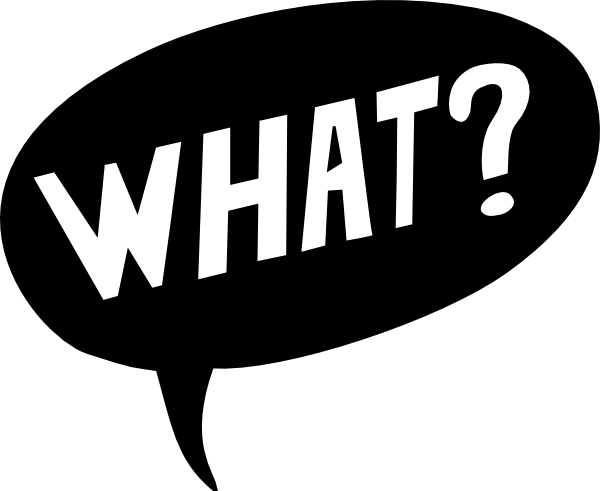 Making the Case for Theological Sophistication in local churchworld – WHAT? I almost hate to mention those words in this brief article…first of all, for some they would interpret the phrase oxymoronically…like “jumbo shrimp” or “military intelligence”, you know what I mean. Others, will automatically “switch the channel” and decide to stop reading because of the inevitable irrelevance of such a piece. Whatever your first “impression”, don’t sign off too quickly…stick with me. What I want to briefly share is important and are thoughts that have been hanging around my brain and have embedded themselves in my conversations over the past months. There is a glaring issue in today’s faith communities (otherwise known as local churches) that needs to be addressed. It needs to be addressed primarily because it is an offshoot of the secularization that has occurred within our culture as well as the selling out of the church to “pragmatism”. What I’ve casually noticed in my years as a local faith community leader and participant is an increasing theological de-sophistication that is plaguing many gatherings of Christ-followers. I don’t necessarily know all the facts, but I have done a bit of research on the subject. Christian pollster and Gallup Organization trained author, George Barna, has been bringing this up over the past several years primarily through his research within local churches as well as in his books (primarily, Thinking like Jesus)…but I can say this, for most followers of Jesus, the most significant time of theological discourse, thinking, processing and investigation occurred (if ever) years ago. In our specific denomination, that would have occurred in something we Lutheran Christians call, Confirmation, you know, that two year process (the word here is “catechesis”…training, teaching, in most instances using Martin Luther’s Small Catechism as a foundational text) of deep investigation into the creeds, the Lord’s Prayer, issues having to do with Sacraments and the Church as well as scriptural truths. Unfortunately, as consumerism and materialism has gripped our culture, many local churches have opted for “building a crowd” by primarily projecting a message aimed at speaking to “felt needs” within people rather than training and equipping followers of Jesus for mission and for active life of growth and maturity. Trust me, you can build a crowd if all you are talking about is what God can do for you and me…you can build a crowd with the messages filled with direct felt need application in ways to have better marriages, more well-behaved kids, bigger bank accounts, and more happiness. Now, don’t take me wrong…the scriptures do speak to some of these issues and put these issues in perspective and it is important to take the application leap in helping people to understand that truth best experienced is that which is best lived. BUT unfortunately, a steady diet of felt needs based teaching and encouragement only shoots ourselves in the foot over time…just like feeding yourself junk food overtime helps you only gain weight and yearn for more…so exclusivity in felt needs, application only teaching exposure just encourages that which has been a bane to our culture – that being increasing amounts of consumeristically driven lives and praxis. I don't count Dr. Scot McKnight as a personal friend because we've only spent a grand total of 1.5 hours together in the past 10 years. But he is a brother in Jesus, fellow scholar and one of my biblical studies "mentors" throughout the years. We've exchanged emails, I've posted many of his blog entries and we've had informal conversations regrading all things Kingdom oriented. I own almost all of his books and many of the courses I teach utilize one or another of the texts that Scot has penned. This morning, Scot posted a provocative but, from my humble opinion, helpful paradigm from which to view the plethora of biblical translations. He's taking a peek at the "politics" of biblical translation…I take that to be this, that everyone is subjective in translating the original text. To proclaim that there is such a thing as an unbiased, objective textual translation is not only naive but also presumptuous. There are choices, hard choices I contend, that each translation "team" has to make when translating from ancient languages. To assert that anyone can do that task without bringing denominational, theological, or life experience "baggage" into the actual translation act is, truthfully, absurd. Now, as Scot makes comment in his article, that you can access here and below, there is nothing inherently "wrong" with assertion. What it does call to our attention is how "loaded" some words are in the biblical text and also how key decisions in translations can vary to the point where the reader is not (to quote NT Wright, "well served). So for those of you who have an interest in biblical translations (as I do), take a gander at this post. Scot, I commend you for your obvious courage in even taking a shot at this issue. By the way, note a few "conclusions" from the article…how important it is to have, read publicly, and study a variety of translations and how The Message edition (Eugene Peterson's splendid take on the bible) can actually enhance a broader and more faithful hermeneutic and application. The Bible you carry is a political act. By “Bible” I mean the Translation of the Bible you carry is a political act. Because the Bible you carry is a political act the rhetoric about other translations is more politics than it is reality. The reality is that the major Bible translations in use today are all good, and beyond good, translations. There is no longer a “best” translation but instead a basket full of exceptional translations. Now the big one: each of these translations is a very good translation. The rhetoric that “our Bible” is better than your Bible — masked as “word for word” or “accurate” — is political rhetoric and not translation theory. The politics of Bible translation is a sad case of colonizing the Bible for one’s agenda. Each group has its Bible, has its translation, and you declare your allegiance to your tribe by carrying and citing the Bible of your tribe. Show your cards by exposing the Bible you use and you will be telling us which tribe is yours. Anyone with knowledge of Hebrew, Aramaic and Greek knows that these Bibles are solid, both in theory and execution, translations. When I visit a new church I can walk into the sanctuary (or auditorium) and know which tribe the church belongs to by the pew Bible: the translation tells the story because Bible translations have become ecclesial politics. Why say this? To say this: Each of these Bibles is a good translation. We need to teach our church people that and knock off the politics of translation. Maybe you should vary from week to week which translation you use, announce your translation, and then affirm the value of that translation. A year of confusing the politics out Bible translations might bring the most clarity! I’d like to contend today that most words are translated in all Bible translations with formal equivalence and that some words are translated more or less in a dynamic, or functional way. In other words, there isn’t really a radical commitment to dynamic equivalence — as if one can find some better way in English to the original languages “and” or “but” or “the” or “God.” Or a radical commitment to “formal equivalence,” as if the Greek word order can be maintained in English and make sense, though at times the NASB gave that a try (much to the consternation of English readers). No one translates “God’s nostrils got bigger” (formal equivalence) but we translate “God became angry.” There are some expressions that can’t be translated woodenly unless one prefers not to be understood. The result of this is that all translations are on a spectrum of more or less formal and more or less dynamic. Now one more complication: each translation will vary for individual words or phrases or clauses. Each of these Bibles is good. Let’s use them all, and rejoice that we have such wonderful access to the Bible.